Mum's calling : Aloha in Hawaii! Aloha! We set foot in Hawaii, Oahu and Big Island! We finally met up with ET. She travelled a long long way to meet us there! The long awaited moment of meeting her has finally arrived. We spent about a week there, and unknowingly had our skin tanned a few shades darker. Weather is totally like Singapore, hot, but not as humid. It's been a long time since I saw Js perspire till hair wet. 1. Authentic and delicious Japanese food! 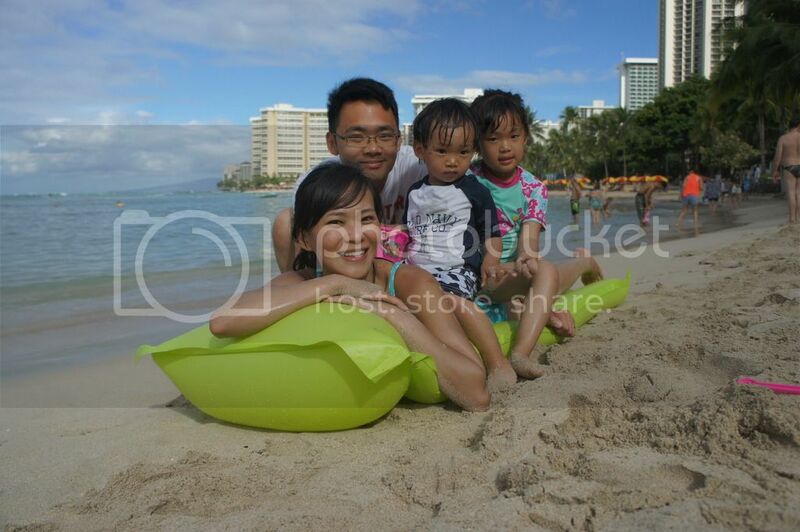 Oahu is populated with loads of Japanese visitors. We've been more than once, mistakenly spoke to as one. 2. Beautiful Ocean view! Shiny clear blue ocean, blended in the different hues of blue made its view absolutely breathtaking. Gentle and strong waves sweeping onto its beach made everything even more spectacular. 3. Rainbows! Place where rainbows are truly faithful. We see them everyday, the single, the double and the full bow. After every drizzle, all we needed to do, was to look up for one. 4. The windward of the island represents a world with lush mountains and pristine beaches while the landscapes of leeward coasts are mainly dry, with clustered civilization (Oahu). A different landscape on different part of the Island. We visited the Swap Meet and Marketplace upon collecting our car. A place where goods are sold cheaply, as compared to the commercial stores. It’s where you can get souvenirs like crafts, accessories and clothing. Also a great place to taste their local fruits and snacks. I bought a hat, and place like this was a test of my bargaining skill. 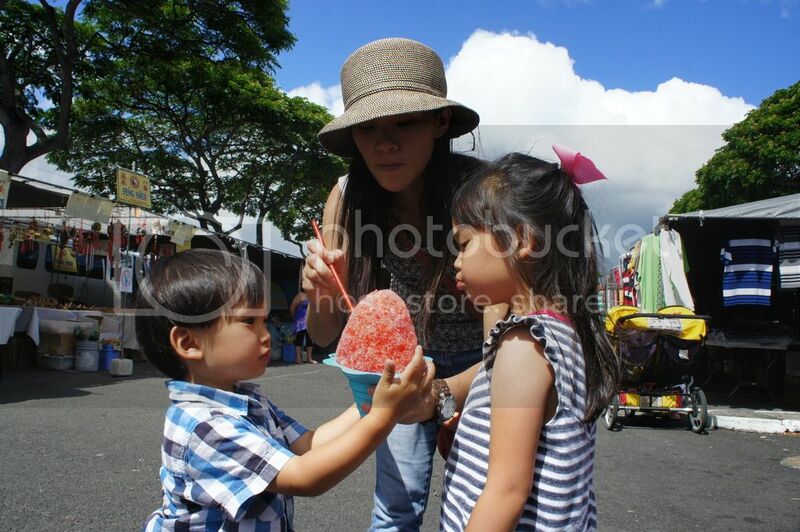 Other than that, we walked off rather fruitless, except with a taste of shaved ice. I thought our ice kachang tasted better. 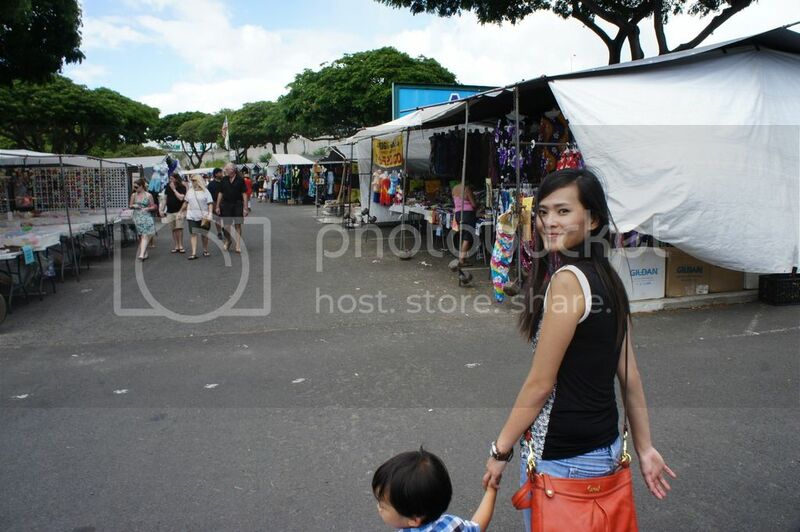 We drove off to stroll the streets of Honululu (Kalakaua Ave). Walking down the street reminded me of our very own Orchard road. Long stretch of branded shops after shops, open till late night. I could even shop after the kids sleep, but as much as my strength and body were willing, money is constrained. Sleeping seemed a better alternative. We drove eastward, passed Diamond Head and loop the island anti clockwise. Went sightseeing and stopped at various viewpoints along the coastline to get a good dose of beautiful natural creation. Took us about 1.5 hours driving via HW72 to HW83 before we reached Kualoa Ranch, a place where various movies (Jurassic Park, Lost and Godzilla) were filmed in before. Beautiful scenery, but I didn't think it was extremely impressive compared to the Pacific Coastline at Monterey, CA HW1 route. 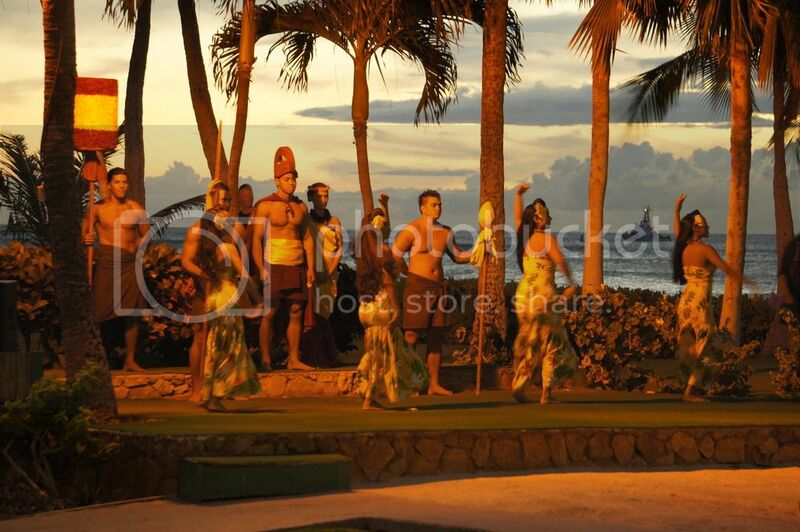 Ended our day with a luau show at Paradise Cove, took us another 1.5hrs to travel there. Where we experienced the authentic Hawaiian culture and food. Hawaiian food is superb! I'm already missing it. Such a thing is very touristy, but didn’t mind being that part of enjoyment. Js are sure followers when other kids volunteered themselves to the Hula dance on stage. 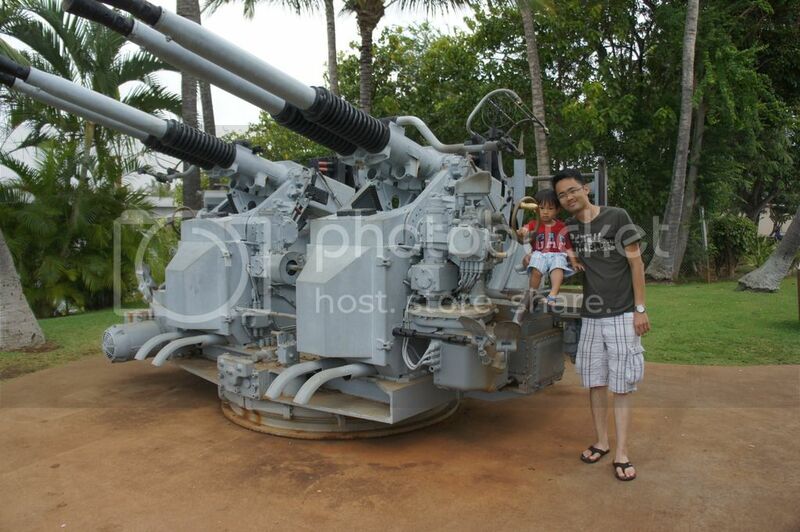 We visited the Pearl Habor, a short drive from Waikiki beach, where we gained more knowledge about WW2. Yes, watch the movie! It’s more than just a historic encounter. It’s about sacrifices, bloodshed, heroes, peace and remembrance. "I salute you, American Military!" A must visit if you ever set foot in Hawaii. It was a rare opportunity for us to explore the submarine USS Bowfin and Battleship USS Missouri where the Japanese signed the official instrument of surrender. USS Missouri was also featured in the movie, Battleship. Those who wished to visit the USS Arizona memorial, advice is to reserve your tickets online or go down early to queue. Tickets are limited and can be snapped up fast. I must say the Pearl Habor historic sites really captivated me, I was totally immersed and felt like it was a trip back to history, for the experience of pain and warfare. Be prepared to spend the entire day here. Hawaiian pineapples! 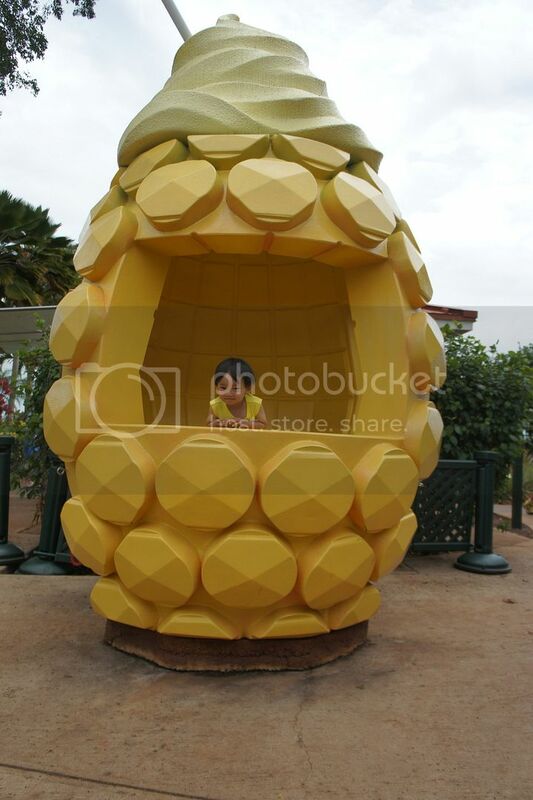 We visited Dole plantation at the northern shore of Oahu island (1hr drive), for the complete pineapple experience. Nothing much to rave about this place, but we had great fun in the World's largest maze. Js love the challenge, and I loved my pineapple fruit and ice-cream indulgence. In the evening, we drove to Laniakea beach (further north along HW99 to HW83) to catch sight of sea turtles. 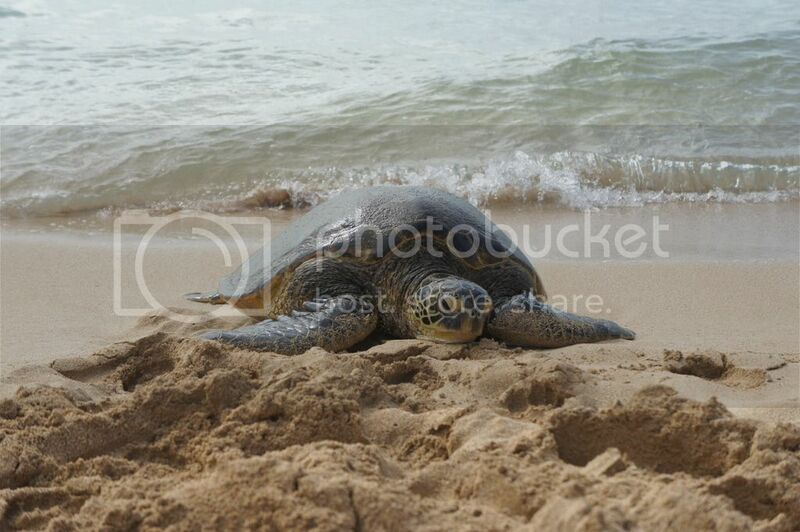 Interestingly, people know the names of these turtles that came onshore. We complete the day with a drive clockwise to complete the loop around Oahu island, along the way we experienced sudden shower and plenty of rainbows, no wonder Hawaii is nicknamed the rainbows state. We stayed at a hotel just opposite the World famous, Waikiki beach. It’s impossible not to get soaked in that blue salty water before bidding farewell. Js had been pestering us about beach play, and we had to make it happen. Our thoughtful friend brought some sand tools along for Js. You could pack some along if you plan for beach fun. I had much reservation about water play with kids in the open water, but I knew, we must do it! I would recommend going to Kuhio beach which is beside Waikiki beach, this beach has breakwaters built to form a lagoon and the waves are gentler. Too much inner reservations, too much to miss out in life. Have fun! The waves became really exciting to play with. Jare was initially afraid of it, but got hooked into waves playing after we demonstrated fun. Love the moments we had that sunny morning! Perhaps, everyone were involved in united fun, no distractions and no individual play. It was quality time we had! Then, it was pack up and a short flight to the Big Island. Jetting off between islands is the common mode of travel. There are plenty of flight options available. How can we miss the volcanoes in Hawaii?!! And there, we landed at Big Island, home to one of the World's most active volcanoes. You can also fly to Kalaoa or Hilo airport and fly back from the other airport to save on travelling around the island. I must say the island is huge and one way trip to the other end of the island will take 2.5hrs drive, so do plan your route carefully. Back to volcanoes, we visited it near night, saw red orange lava and it was glowing! Just a pity, we couldn't catch flowing lava. There's a season for everything. How awesome to not just read about volcanoes on Geography textbooks, but witnessing it. 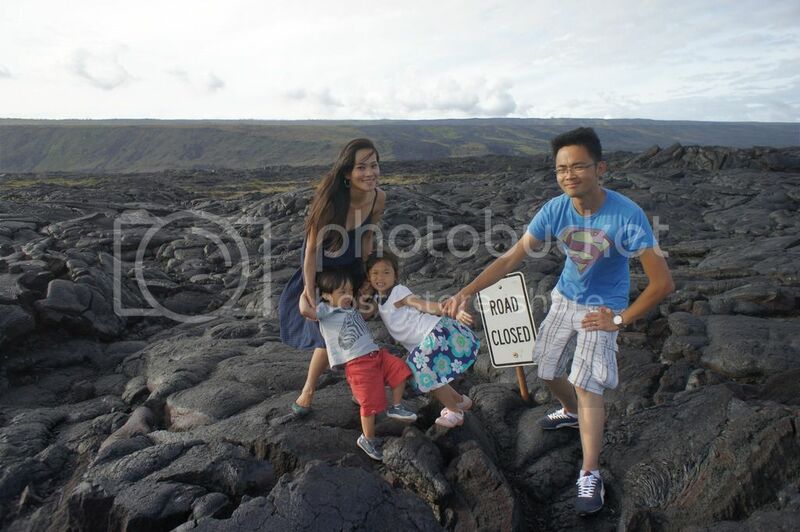 You may check the US national park website on latest update and status of lava flow, some roads may be closed. We had many great pictures with volcanic sights and rock, where one have to be really cautious walking on the rocks. It hurts, just by pressing your palm on it. I constantly feared for my wriggling Js, a careless abrasion can cry the mountains down. We drove up mountain top to Mauna Kea, about 10,000 feet above sea level, where it was cloudless, to watch the sunset and star gaze. Verdict: Truly awesome! It was a 'WOW' when we stepped out of the car. We've never seen such clear sky of millions, trillions of stars our entire life. Believe it or not, we even saw the milky way! With great inventions, we identified planets through the telescopes. I spotted the ring dash around planet Saturn, very impressed and absolutely impressed! 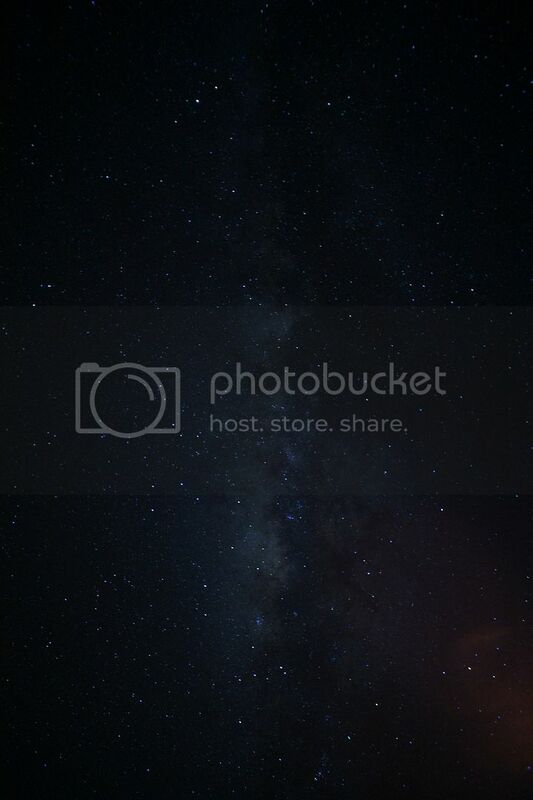 Most nice if we could camp out there, lay in a tent with open top and get mesmerized by those stars. It was extremely cold and windy up there, especially the hike for a great sunset view. Several times, I felt as if I could be blown away. After the sunset, it was minimal light pollution, and that explained why we could picture the stars and milky so beautifully. For those with strong heart, you may want to drive up to the summit (14000ft) to view the astronomical research facilities, giant telescopes and great view of sunset and sunrise. The air is thin up there. Likelihood of getting altitude sickness due to rapid ascend from sea level to 14000ft in 2hrs is high. Children under 16 are not recommended to proceed beyond the visitor centre located at 10000ft. Braving the cold was all worth it! Don’t forget your cold wear if you plan to visit. 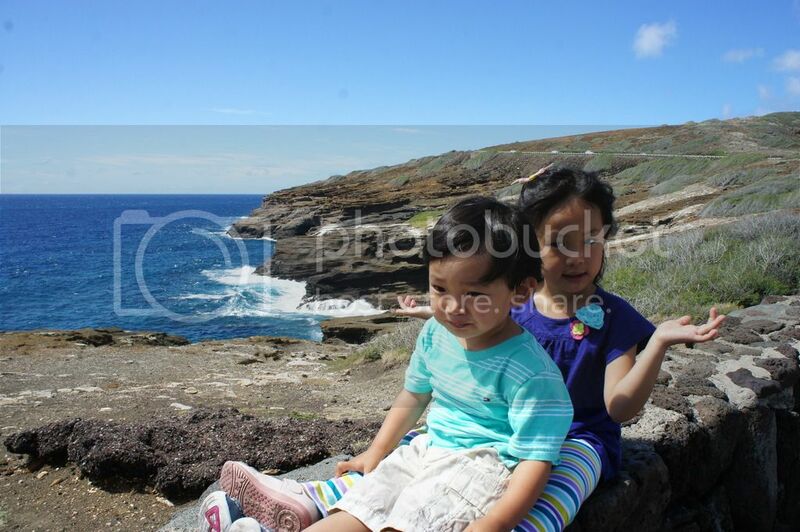 We had a great time in Hawaii! Eating, shopping and nature were all too memorable. Now that we're back home, I'm just glad that the Volcano National Park was opened when we visited. Government shutdown has not much inconvenient us, except for minimal disruption to our upcoming visit to a National Park, and the man's classes were on hold.